Now that 2012 is upon us and people are thinking of what is to come in the year ahead, thoughts turn to the summer and more importantly the summer holidays. Simon Calder caught up with Limahl to discuss that great universal pastime, the annual vacation. Newquay in Cornwall in the early ’70s when the package holiday hadn’t really taken off – it was an annual jaunt for our family. We lived on a council estate in Wigan and Mum and Dad worked incredibly hard to save the money because they had four hungry mouths to feed. So we’d do this mammoth drive down there – it was about eight hours from Wigan to Cornwall. The first few years it was in a caravan which was so exciting. We used to go at night and everyone would fall asleep, but I would stay awake the whole journey and drive my dad crazy, pointing out the names of the cities; he used to say, “Shut up! I can read.” Those first holiday memories are very special. More importantly I remember the records we listened to; one year Neil Sedaka was number one with Laughter in the Rain and another year it was Barry White. Great memories, great music. Skiing. Because I live in London I’m always at busy places like airports and gigs. When you’re up in the mountains the air’s so clean and there’s nature and the awesomeness of the slopes. It makes me reflective and think about the bigger picture. The thrill of coming down the slope is so invigorating and satisfying. 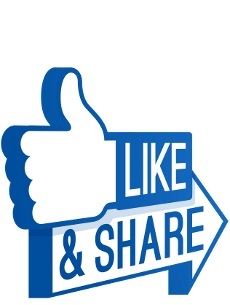 What’s your favourite place in the British Isles? I love London, even though the weather’s not great. I’ve travelled the world and I’ve lived in Paris, Germany, Los Angeles and New York but I love the parks, the theatre and the Britishness and the way that all these communities have integrated. To be patient – especially at airports and to be wary. In Australia, when I arrived I sat on Bondi beach, I went to the loo for a leak, and when I came back my bag was gone, with all my credit cards. I’ve learnt to be patient and try to enjoy it. You can look up so much information on the internet that you don’t have to wander off to the tourist information centre. Travelling is so much easier these days. Who’s your ideal travel companion? My partner Steve, because we like the same things – architecture, restaurants and the theatre. I’m less of a beach bum now. I used to be a bit of a sun worshipper but now we know it damages your skin. I love to get out and see real life and to walk, which is why I love Venice so much – it’s such a great walking city. Often I’ll avoid the obvious attractions and try to find shops or restaurants off the beaten track. I once had a gig in Gothenburg and went on the most unbelievable theme park ride, which was a rollercoaster built into a mountain that went through plants and tunnels. It was huge and a thrill to go on. What is your greatest travel luxury? My laptop. Everything is on there; I can work, watch TV, read the news and write on it. Las Vegas. I went there in the ’80s and had such a great time. I was there 10 minutes and I won $10,000 playing $500 on Black Jack. It was amazing. I went to do a gig in Norway in October two years ago in a nightclub on the western coast, so I flew into Oslo the night before. The next morning I was going to take this internal flight but I looked out of the window and it started to snow. On the way to the airport it just got worse. The plane was delayed with a technical problem and meanwhile the storm got even worse. When we finally took off, hours late, the flight hit turbulence – it was pretty nerve-racking. The captain came on and said something in Norwegian and there was this audible gasp and I was looking round thinking ‘what’s going on?’ Three nice Norwegian ladies who spoke good English told me we were diverting to another airport. From there we had to take a four hour coach drive along the edge of cliffs that would also include a ferry. It was about 7pm by this point and I had to be on stage at midnight and I couldn’t get any signal on my mobile. The ferry was so choppy that my tour manager went white and people were vomiting. We arrived at the hotel at five to midnight; the expression ‘the show must go on’ was never more true. The Grand Hotel in Prestatyn, in North Wales. When we arrived looking for the hotel we saw a rickety old building towards the edge of the water. As we got closer I noticed that it was the Grand, but the letter ‘r’ and ‘n’ were missing from the sign, so it said ‘The GAD,’ which I thought was not a very good sign. When we got in it had the worst décor and creaking floorboards and it was everything I expected. Kajagoogoo were huge in Poland because we were the ‘guilty pleasure’ of many Polish people so I’ve been to Warsaw a lot and the Warsaw Hilton is awesome. When we stayed the management came out and they all wanted pictures with the band and they’d upgraded us to suites. But the design, the finishes and the attention to detail are wonderful with these huge chandeliers and the blend of the contemporary with the slightly traditional. I just love it. Meals are always tricky for me because I’m vegetarian. Obviously travelling now is a lot easier, even the airlines now have a standard veggie option. I’ve got this thing about eating low fat, because I’m on stage and I’ve got to fit into my stage clothes and be scrutinised. But I’m a humble soul. I’m very happy with cheese on bread. 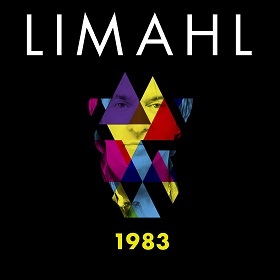 The brand new single from Limahl. 1983 is on general release and available from all digital retailers now. 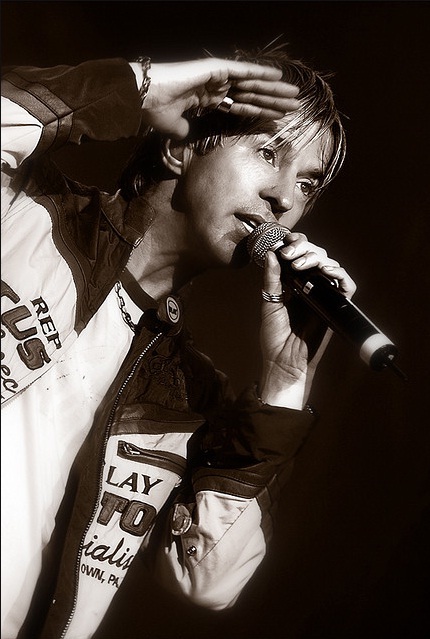 ← Limahl January – Which is your favourite Limahl single?